Finger Lakes a National Heritage Area? We live in a historical, culturally significant region that needs to be recognized and preserved. We are in an area that is rich with natural beauty with parks, waterfalls, gorges, hiking, and boating. We are a destination tourism attraction. Our visitors can focus on women’s history or the Underground Railroad—or visit one of the many award winning wineries, breweries, distilleries that line our lakes. Not into that? Then cruise up and down the canals, hike the gorges, grab a paint brush a create a painting of a beautiful waterfalls that are around this area. These assets combine to tell the history of our area. It is important to each of us that this area’s assets are preserve for future generations so they can hear that story.–Ken McConnell, chairman of the Finger Lakes Tourism Alliance Board of Directors. The Finger Lakes Region has received a potential shot in the economic arm on Monday as Senator Kirsten Gillibrand announced that she will start legislation process to designate it a National Heritage area. Sustainable economic development – NHAs leverage federal funds (NHAs average $5.50 for every $1.00 of federal investment) to create jobs, generate revenue for local governments, and sustain local communities through revitalization and heritage tourism. Healthy environment and people – Many NHAs improve water and air quality in their regions through restoration projects, and encourage people to enjoy natural and cultural sites by providing new recreational opportunities. Improved Quality of Life –Through new or improved amenities, unique settings, and educational and volunteer opportunities, NHAs improve local quality of life. Education and Stewardship – NHAs connect communities to natural, historic, and cultural sites through educational activities, which promote awareness and foster interest in and stewardship of heritage resources. Community Engagement and Pride – By engaging community members in heritage conservation activities, NHAs strengthen sense of place and community pride. Eight NY-23rd Counties—Chemung, Ontario, Seneca, Schulyer, Steuben, Tioga, Thompkins and Yates are in the proposed National Area region. The other counties included are Cayuga, Cortland, Livingston, Monroe, Onondaga, and Wayne. Sen. Gillibrand made her announcement at Red Jacket Park in Penn Yan Monday on a beautiful summer day. She informed those in attendance that a National Heritage designation “allows for federal resources to be used in marketing, in talking about the region, highlighting the region,” said Senator Gillibrand. “And it also creates more of a tourism strategy for the region so we can talk to the country, the state and the world about why we are so significant regionally.” The area would be federally funded but locally operated. Besides Senator Gillibrand, others that spoke at the ceremony were Ken McConnell, (Chairman of the Finger Lakes Tourism Alliance Board of Directors), Natalie Payne (Executive Director of the Finger Lakes Museum and Aquarium), and Fred Bonn, (Regional Director of the Finger Lakes State Parks). Also in attendance was Yates County Legislative Chair, Timothy Dennis and Schuyler County Legislative Chair Dennis Fagan, Penn Yan Mayor Leigh Mackerchar along with various members of their respective boards. Also present was Yates County Chair Carolyn Schaeffer and Rep. Reed’s representative Allison Hunt. With a National Heritage designation, Gas Free Seneca and other like thinking Finger Lakers would have even a stronger case to protect the region from LPG storage and other potentially dangerous environmental activities. If Senator Gillibrand’s proposed Legislation is approved the first step in the process would be a feasibility study of the region to guide the development of this region. The whole process may take a few years to complete. Other National Heritage Areas is New York State are Champlain Valley National Heritage Partnership (NY, VT), Erie Canalway National Heritage Corridor, Hudson River Valley National Area, and the Niagara Falls National Heritage Area. 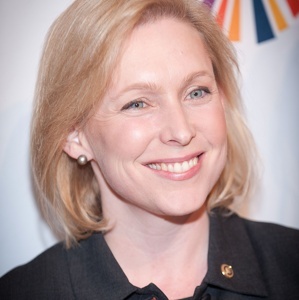 The following is a video of Sen. Gillibrand announcing her proposed legislation. This entry was posted in Congress, Constitution, Economics, Environmental, EPA, Hydrofracking/Gas& Oil Industry and tagged Finger Lakes, Finger Lakes Alliance, National Heritage Area, Sen. Kirsten Gilliibrand. Bookmark the permalink. 1 Response to Finger Lakes a National Heritage Area? A smart use of federal dollars. I presume Rep. Reed will co-sponsor in the House.